Say No to the War on the Working Class! Friday, February 27, 2015, 4 P.M. Austerity in Greece has meant conditions much like those faced by Detroiters: A poverty rate of 44%, up from just 3% in 2009; a 27.7% unemployment rate; and 240,000 people with their utilities shut off. But in response to these conditions, Syriza was elected to office in Greece on a promise to end the austerity imposed on the working class by the banks and the Troika (the European Commission, European Central Bank and International Monetary Fund). U.S. financial institutions have swindled huge profits off the backs of the people of Greece, Detroit and around the world. In its first day in office, Syriza announced the following measures to ease the suffering of the masses: Halting of privatization schemes; Reinstating pensions; Reintroducing of the monthly minimum wage; Scrapping of fees for prescriptions and hospital visits; Restoring collective work agreements; Rehiring workers laid off in the public sector; Giving free access to food and electricity to the victims of the bailout; and Granting citizenship to migrant children born and raised in Greece. Aren’t these the kind of things we need in Detroit?! The banks and their capitalist allies are now trying to economically strangle Greece, refusing to renegotiate the loans and threatening to cut off Greece from the international market. 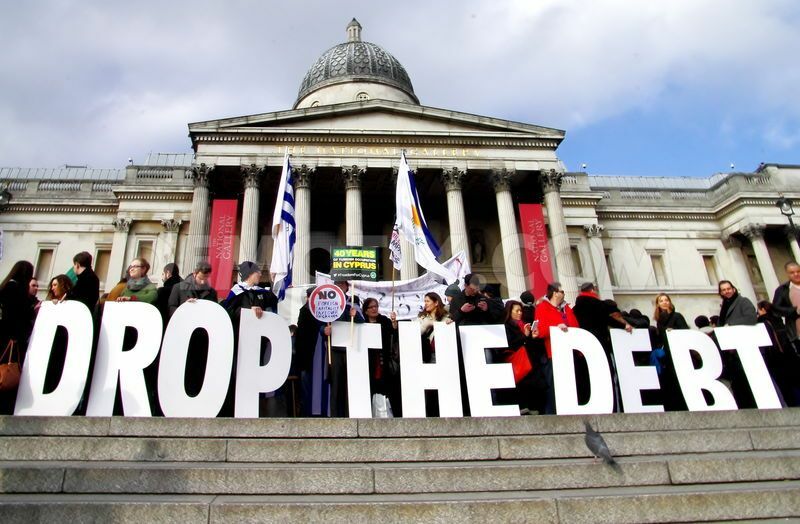 All over the world workers are demonstrating their solidarity with the people of Greece. It’s time to draw the line against the criminal banksters and to say PEOPLE come before profits. We’ll beat them back in Greece and across the world, and reverse the attacks on Detroiters imposed by emergency management and the state in service to the banks.